Penetration testing is not just for large enterprises. SMBs are just as vulnerable to cybersecurity breaches, and because they have fewer resources, they have more to lose. 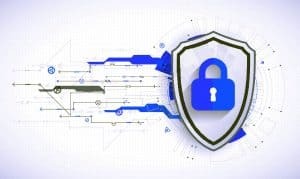 Security breaches and related interruptions in the performance of services or applications can result in significant threats to your organization in the form of lost revenue and critical proprietary information. Penetration testing offers the most effective way to rapidly identify your network’s most serious security risks and prioritizing remediation efforts. Penetration testing is used to identify which current security protocols are effective. Penetration testing helps avoid remediation expenses and reduces overall network downtime. Penetration testing enables compliance with security regulations. Penetration testing helps protect your company image and client trust. The security of your network should should be a top priority and it demands your attention. Using proactive, authorized tests we can evaluate the security of your IT infrastructure and identify any risks posed by specific vulnerabilities or ﬂawed processes. We provide skilled consultants who draw from extensive experience manual investigation techniques and advanced tools to identify and exploit vulnerabilities. We facilitate consistent assessment, design, deployment, management, support and education services to enhance your return on investment. to schedule a penetration test. Read more about penetration testing: here. Use the form below to get more information about ACE IT Services and what we can do for you. ACE IT Solutions delivers over 25 years of expertise in areas ranging from network consulting to support for all small to medium-sized businesses. We pride ourselves in taking the necessary steps to provide the greatest value to our clients. Our focus is on optimizing IT to enhance your business’ efficiency, productivity, and reliability so you can compete and grow in today’s high-tech environment. © 2014 - 2019 ACE IT Solutions. All Rights Reserved.